Classically conceived bushcraft knife with typical scandi grind for a sharp, durable, yet easily resharpened blade. 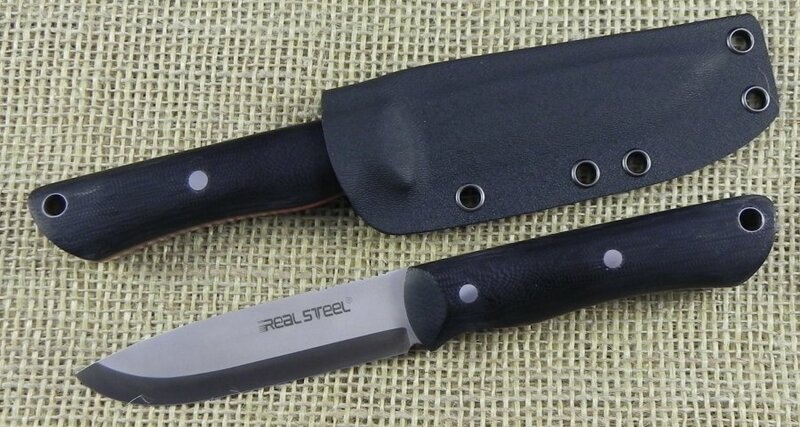 Black G-10 handle with red G-10 intermediate liner. Kydex sheath with belt adapter and additional fire starter. Extra large lanyard hole.